If you need an optometric team who will take responsibility for managing, treating and staying on top of your eye health, you’ve come to the right place. At Plaza Optometry, we care about your vision and we make it a point to stay up-to-date with the latest medical technology and approaches. In order to promote the long-term health of your eyes and vision, our professional eye doctor, Dr. Ali Mohebbi, will provide you with caring, progressive management of your eye disease, such as macular degeneration, glaucoma, diabetic retinopathy and cataracts, all within the comfort of our modern Santa Ana office. Early diagnosis and detection of any changes in your eye disease are critical for preventing vision loss. The earlier we detect signs of a problem, the sooner we can manage it. 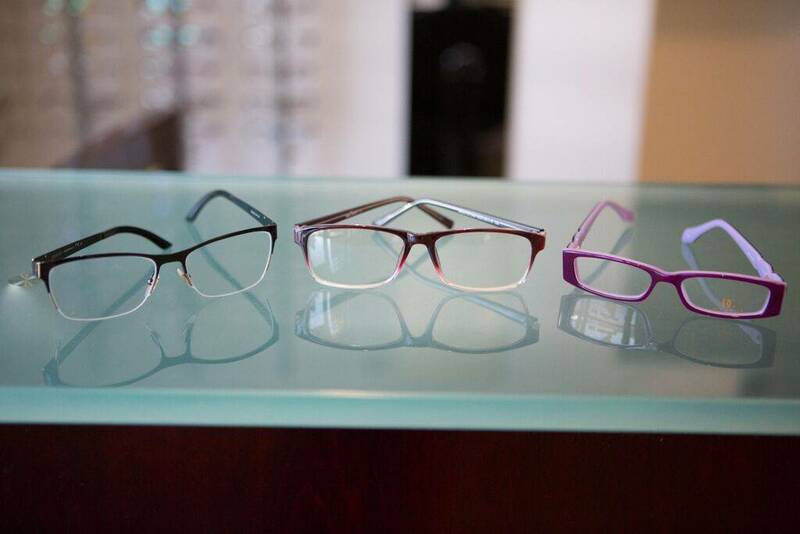 We keep our clinic equipped with the best equipment available, so you’re ensured accurate and highly detailed eye exams. If you’re diagnosed with an ocular disease, we will explain the condition and management process to you patiently, taking the time to answer all of your questions. Together, we will determine the best treatment for your personal condition. Early diagnosis and treatment are the most effective way to prevent the damaging effects of glaucoma. At the beginning, glaucoma is symptomless, yet over time, this group of eye diseases harms your optic nerve, which reduces vision quality and can lead to blindness. We’ll test your eyes thoroughly during our eye exams, using a tonometer to measure the inner pressure of your eye. If pressure is increased, it is a sign that may point to the presence of glaucoma. Usual treatment involves eye drops or surgery. Cataracts are defined as a clouding of your lens, which prevents images from appearing clearly on your retina. With cataracts, blurry vision can be mild or extreme. To restore your functional vision, surgery has a very high rate of success. During the procedure, your clouded lens is removed and a synthetic lens is put in its place. Dr. Mohebbi will manage your pre-operative and postoperative needs, so that your eyes remain healthy and your vision returns to its crystal-clear state. This damaging disease has no cure, yet an early diagnosis goes very far towards slowing the progression of macular degeneration. The disease affects your central vision by damaging your macula, which is responsible for seeing fine details. Treatment may involve injecting drugs directly into the eye, a combination of medications, and/or laser surgery. We will meet with you in our Santa Ana clinic to evaluate your condition and discuss the most suitable management options for preserving your vision. Affecting only people with diabetes, diabetic retinopathy occurs when the vascular network of your retina begins to swell or leak, thereby impairing your vision. Our Santa Ana optometrist will examine your eyes during a comprehensive eye exam to inspect for signs of the disease. The early stages of retinopathy generally cause no symptoms, yet the sooner it is detected – the easier it is to treat. While there is no cure, treatment may consist of a laser procedure or injections of a medicine that can shrink new blood vessels. A common age-related eye disease, cataracts may cause vision loss. Read all about how cataract surgery works, how to recognize the symptoms and how to protect your eyes from this disease. Early detection and management of glaucoma can prevent the devastating effects of this disease, which can cause blindness when left untreated. The center part of your retina is called the macula, and it’s important for processing fine details of what you see. When the macula breaks down, macular degeneration is diagnosed. Diabetes, especially when uncontrolled, can have a strong negative impact on the health of your eyes. Everyone with diabetes should have regular eye exams performed, as it is most effective to treat these ocular complications when they are in a very early stage.